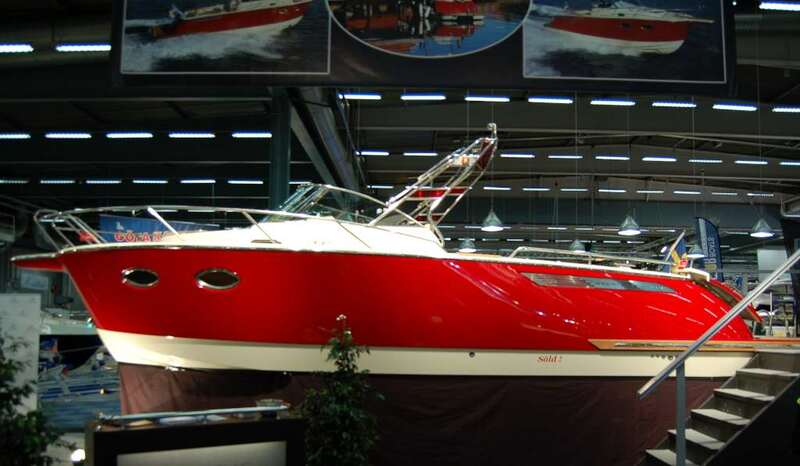 This boat was designed in 2005. 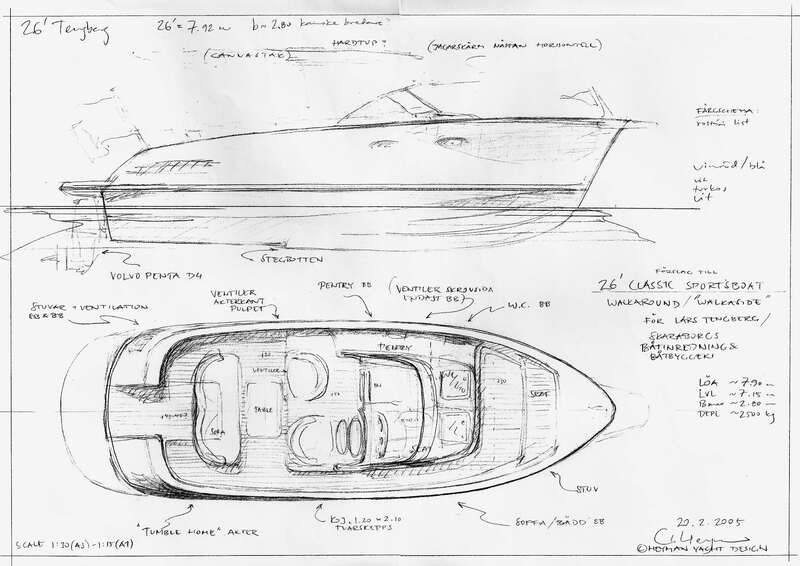 Her detailed drawings were finished by a Norwegian colleague and the boat has since been built under the name Greatline 29. This runabout differs somewhat from the usual in her layout. 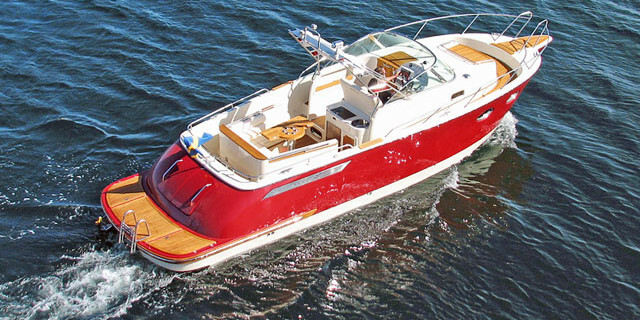 Forward, she has a rather conventional ‘walkaround’ layout and a small cuddy underneath. Further aft, the walkaround theme continues around the sofa aft. 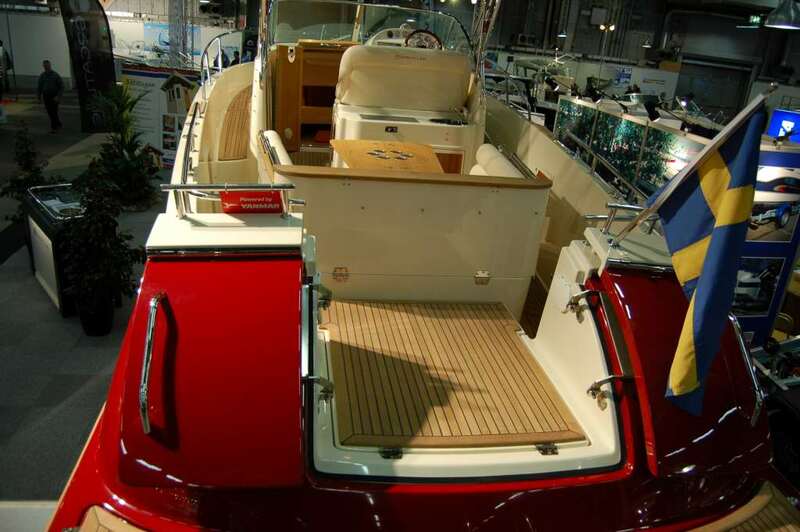 There is a central transom door; with the door open the entire deck is open and accessible from bow to stern platform and the engine is concealed under the sofa and the raised deck just behind it.